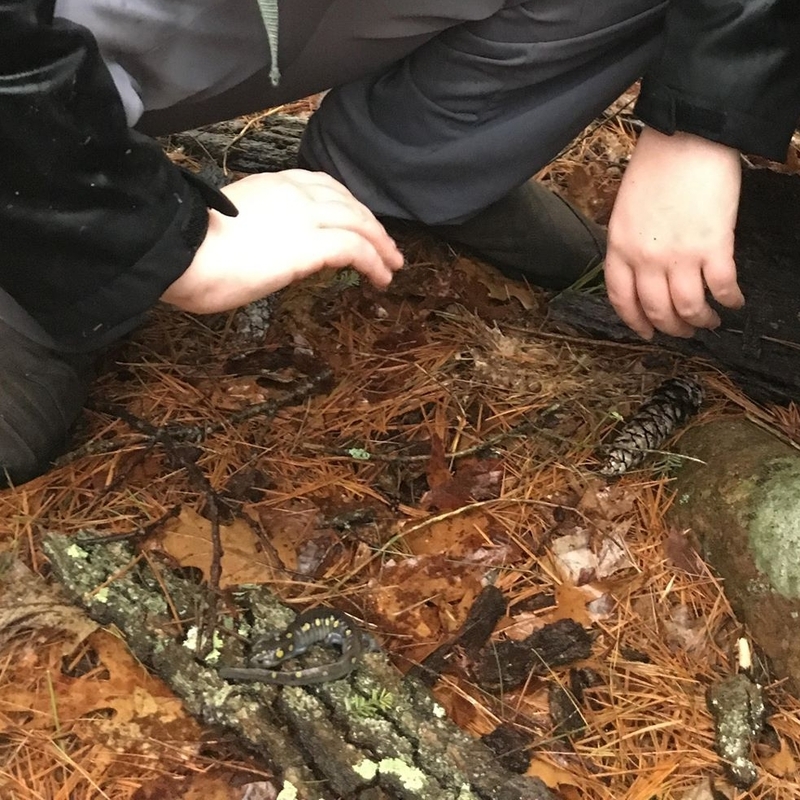 Amphibian and reptile data recorded by the Conservation Club was entered into the Massachusetts Herpetological Atlas Project. An AMPHIBIAN is a semiaquatic creature that is cold-blooded, doesn't have scales (they're slimy) and lays eggs. Spotted salamander. The spotted salamander is secretive and seldom seen. The spotted salamander lays 30-250 individual eggs. The larvae are eaten by predatory insects. An adult spotted salamander is 4.5 - 8 inches long. 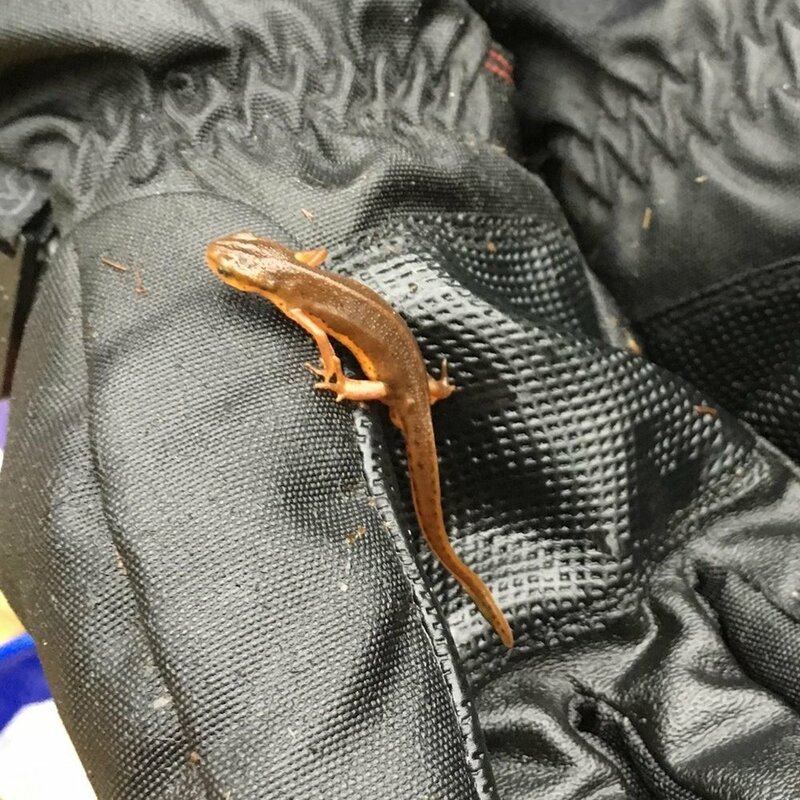 Red-spotted newt. 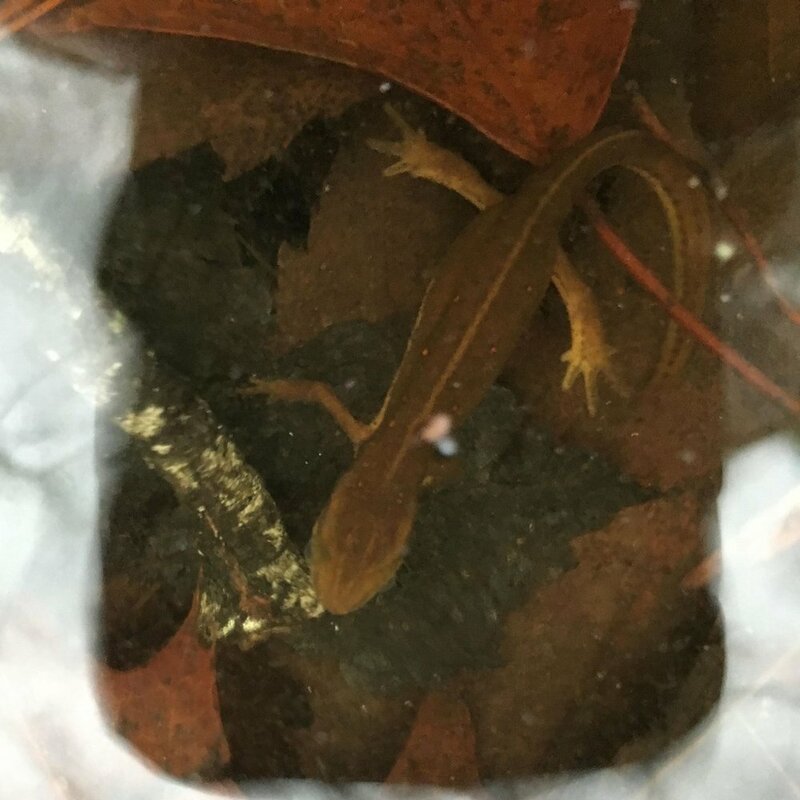 Red-spotted newts grow to about 5 inches and can be found in vernal ponds or wetlands. In general, their upper body color is an olive green with bright red sports. Their life cycle is four stages: egg, larva, eft, and adult. Green frog. Looks like a bullfrog, almost the same size but smaller and has a ridge that goes down from the eyes to the legs. They’re usually green. The tadpoles are really generic looking and hard to distinguish from bullfrog tadpoles. REPTILES are cold-blooded animals that have lungs, scales, and lay eggs. Eastern painted turtle. One of the most common turtles in Massachusetts. They have red markings along sides and yellow stripes on head and neck. Snapping turtle. Snapping turtles weight up to 46 pounds and 2 feet was the biggest one recorded. They also have long neck and tail and curved claws. Spotted turtle. Spotted turtles are small in size. The males have a brown or black jaw and brown eyes. The females have an orange chin, red eyes, and a yellow beak. Fun Facts about Amphibians and Reptiles. Almost all amphibians are born in the water! Frogs swallow their food whole. Amphibians must keep their skin moist or they will dry up and die. There are more than 8,000 species of reptiles on the planet and they live on all continents except Antarctica.